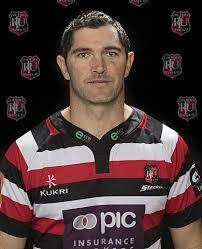 Waiuku is the hometown of Waikato Chiefs rugby teams star kicker Stephen Donald. 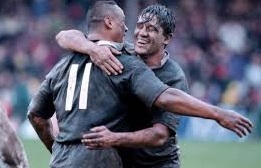 He played his first game for the All-Blacks against England on June 14 2008, becoming the first All-Black ever to have attended Waiuku College. Though born in Papakura on December 3, 1983, Stephen attended Sandspit Primary School in Waiuku, then Waiuku College for four years where his father is a long- serving teacher, before spending his seventh form at Wesley College. Waiuku is the hometown of John Campbell Paterson, the current Bishop of Auckland. 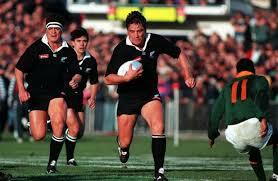 Waiuku was also the birth place of rugby legend and former All Black Zinzan Brooke, but he attended Mahurangi College. Noted All Blacks Kevin Skinner and Pat Walsh were already accomplished adult players when they joined Waiuku. 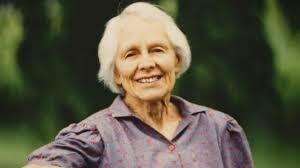 Elsie Locke, then named Elsie Violet Farrelly, was born in Waiuku, New Zealand on 17 August 1912. She attended Waiuku District High School from 1925 until 1929, where she was the sole student in her class during her final two years. She was widely known as a peace activist and historian but she was also a groundbreaking and successful author of children’s literature. Her literary reputation rests primarily on her historical novels set in New Zealand’s colonial past, many of which have been reprinted. Attending university during the Depression, she associated with many of New Zealand’s emerging literary figures. She also became a socialist because of her experiences and observations of poverty at this time. Her son is Keith Locke, a Green Party MP. David Aspin competed in the freestyle wrestling discipline, and was the 1974 Commonwealth Games champion and 1970 Commonwealth Games bronze medalist, in the middleweight category. 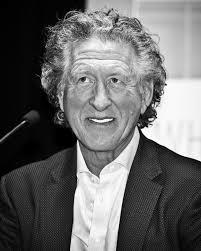 He was also New Zealand’s flag bearer at the opening ceremonies of the 1972 Summer Olympics, in Munich, and of the 1976 Summer Olympics in Montreal. Air Vice-Marshal F. H. M. Maynard, CB, AFC, Legion of Merit (US); RAF (retd. ); England; was born in Waiuku,on 1 May 1893. He joined the Royal Naval Air Service in 1915 and served in France and United Kingdom in First World War in RNAS and RAF. 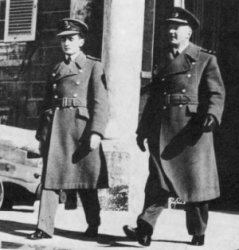 He was AOC RAF, Mediterranean, 26 Jan 1940-1 Jun 1941; Air Officer in Charge of Administration, RAF Coastal Command, 1941–44; AOC No. 19 Group, Coastal Command, 1944–45. 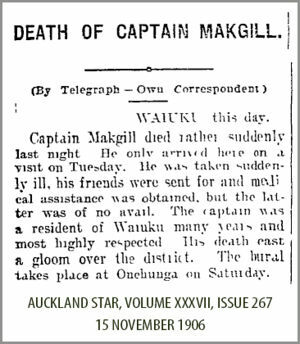 One of the founders of St Andrew’s Presbyterian Church in Waiuku in the 19th century was Captain Sir John Makgill, who had a large land holding locally. His wife was Margaret Isabella Haldane, sister of Lord Haldane, and their son was George Makgill who returned to Britain to be 11th Baronet of Makgill. Waiuku is the hometown of Stumpy (Kevin) Holmes, a national rally car driver and champion.